to tackle some tough issues. 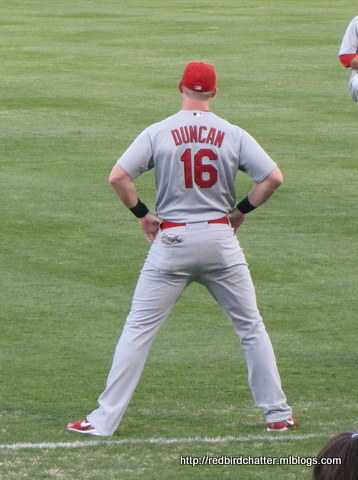 try to trade Chris Duncan rather than Rick Ankiel. 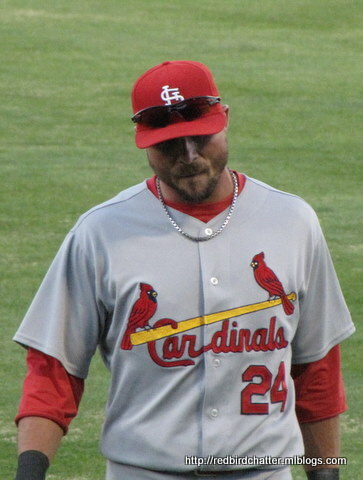 players with redbirds on their jerseys. I am not comfortable bartering them like spare parts at a swap meet. are an important part of baseball. injures and a trade, I will take the trade. Ankiel? I choose Chris Duncan. 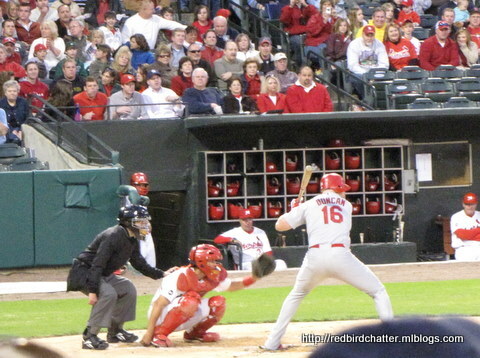 Rick Ankiel roams centerfield like he was born there. He owns it and skillfully defends it against incoming fly balls. up outs and keep base runners in check. sitting on the bench in the last third of the game. 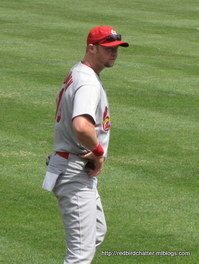 opportunity at first base with the Cardinals. up, does anybody want to be the guy to try to fill Albert Pujols’ cleats? I think not. if we could find him a nice club where he could start at first base. There he could be a more complete player. money on a jersey with the face’s name on it. need the option to be a little more creative. through the stands, some of which go back to his pitching days. way back up as a outfielder and hitter. staff and they feel there is nepotism involved in decisions surrounding Duncan. not strike me as someone who lets the personal interfere with business. It is not right. It is not fair. It just is. arm, because you can never have too many of those. of course, strengthens his trade value. not be long before it is time to resign Albert Pujols. trading Rick Ankiel rather than Chris Duncan can be found at C70 At The Bat. The Cardinals’ real rival is Houston, not Chicago. should be considered for a callup. found at United Cardinals Bloggers. Click over there and check it out.